Last week, I played in a Scopa tournament. 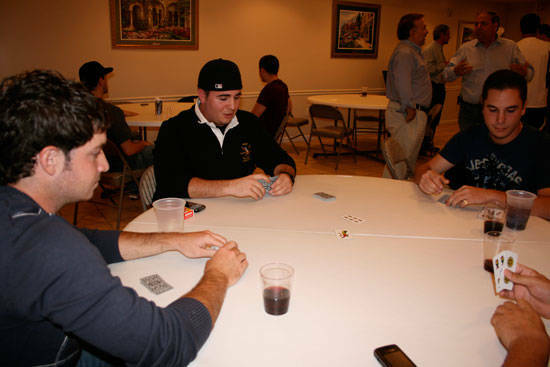 Scopa, a game often associated with southern Italian men sitting around a table and dramatically slapping the cards down while either smiling triumphantly and/or grunting loudly, depending on the outcome of the match. 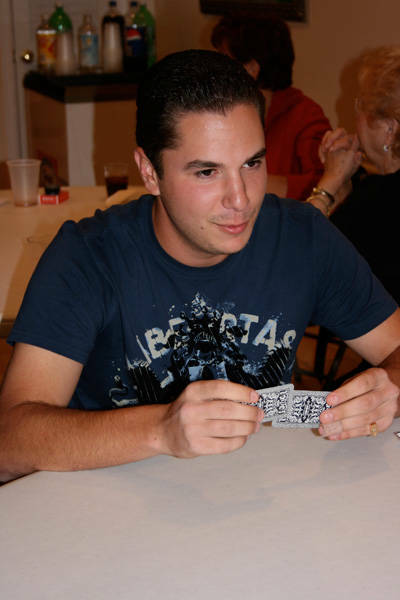 The game itself is played using a 40-card deck. For the tournament we played with "napoletano" cards, although I hear, you can play with other variations, including American. 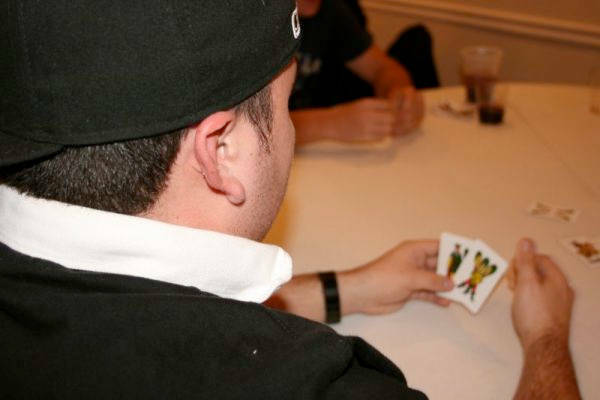 Basically, the object of the game is to "sweep"—scopa means sweep in Italian—all the cards off the table. For more details, check out www.boardgamegeek.com. What was different about this tournament, though, was that almost everyone playing was under 25. There were exceptions of course (to try and win, I had my grandmother as my partner – although, possibly because I'm not my grandfather, that didn't really go as planned), but overall the majority were twentysomethings who probably learned to play the game around Sunday afternoon dinner tables or on flights to Italy. It was interesting to think that while so many Italian-American youths are often stereotyped as "guidos" or Mafiosi-wannabe's, here was a group of young people who actually have ties to a culture and an interest to play a game that goes back hundreds of years. I asked 21-year-old Tom Chianese, who helped organize the tournament, why he was interested in doing it and he said, "Being a second generation Italian-American, I surprisingly wasn't taught this game, so I learned it by myself. I find it important that the younger generation should play because it brings you back to a simpler time. Today, people are preoccupied with work and money and overlook the fundamentals of life, which is to have fun and relax. Scopa for my friends and I brings that old school mentally back. Just to sit around, talk, play a game and enjoy life." And with a few triumphant smiles and/or loud grunts, that's exactly what we did. Here are a few pics from the tournament. Oh, and today, I found this! www.scopacards.com - you can play online!